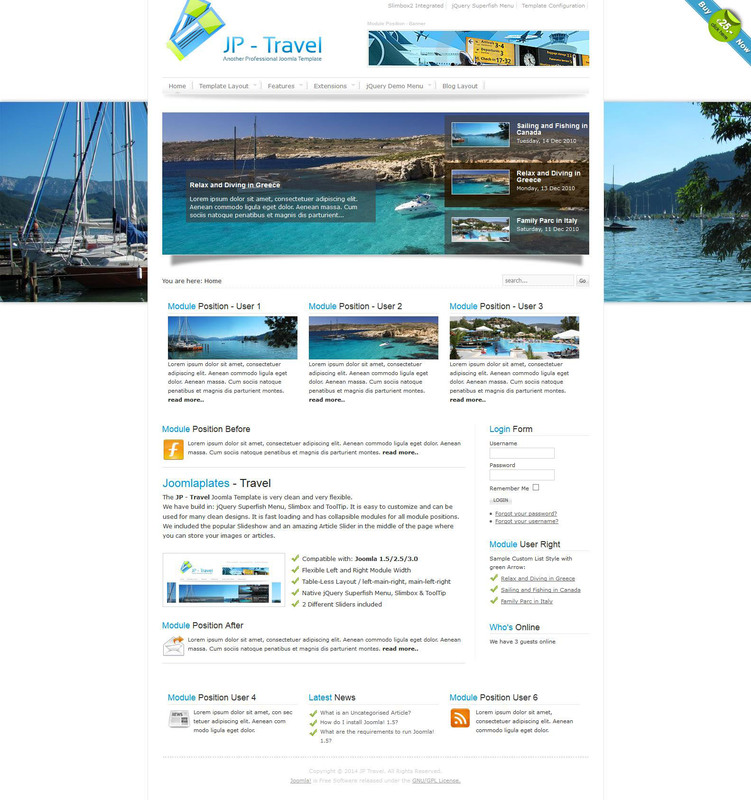 JP Travel - Attractive template Joomla 2.5 from the studio Joomlaplates on tourism and recreation. Features of this template - great design, ease of configuration, powerful features and complete versatility. JP Travel is displayed correctly in all modern browsers and has good optimization. Additionally, present in the assembly modules and Slideshow Article Slider.